Pakistan Quake Killed Hundreds, Created Island Off Coast : The Two-Way The death toll from Tuesday's temblor in southern Pakistan may go even higher, authorities warn. Meanwhile, it appears that a "mud volcano" triggered by the quake has created an island. That's happened there before and it's likely the small land mass will slide back into the sea at some point. It rose from the sea: The small island that appeared off the coast of Pakistan on Tuesday after an earthquake shook the region. -- The death toll has risen to at least 327, local officials tell Reuters. That's higher than earlier estimates. But as Pakistan's Dawn newspaper wrote when it reported there had been at least 264 deaths, the toll had been "expected to rise as rescue teams reach more villages in the remote area." So, the total may go up even further. -- "A small island created in the Arabian Sea by the huge earthquake that hit southwest Pakistan has fascinated locals but experts say it is unlikely to last long," according to Dawn. NBC News says that "seismologists suspect the island is a temporary formation resulting from a 'mud volcano,' a jet of mud, sand and water that gushed to the surface as the temblor churned and pressurized that slurry under the ocean floor." The network adds that "older residents of the coastal town said the land emergence was déjà vu — an earthquake in 1968 produced an island that stayed for one year and then vanished, Ali Mohammad, 60, and Azeem Baloch, 57, told NBC News." According to Dawn, "the island is about 60 to 70 feet (18 to 21 metres) high, up to 300 feet wide and up to 120 feet long. ... It sits about 200 metres [656 feet] away from the coast." The earthquake hit hardest in Pakistan's Baluchistan province. 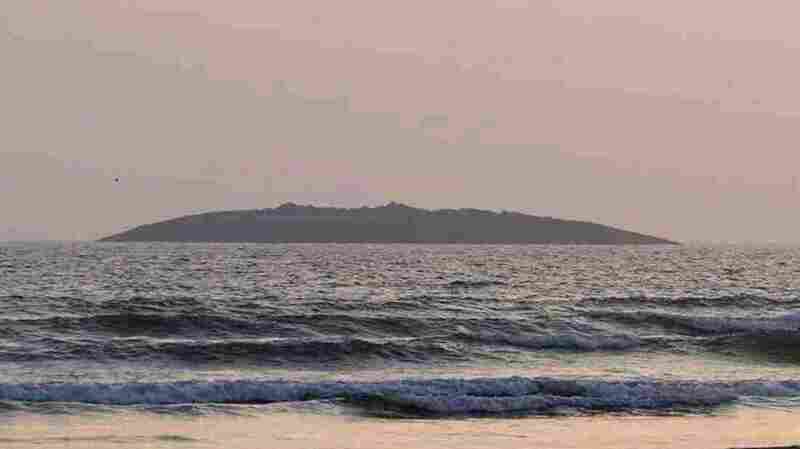 The island appeared near the coastal town of Gwadar.